We will be closed for Thanksgiving Break Monday, November 21 through Monday, November 28. There will be no classes and there will be no rentals during this time. We will re-open for business on Tuesday, November 29 at 8am. 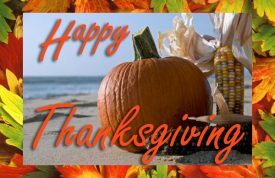 We hope that you have a great Thanksgiving!